Some of the world’s biggest travel companies are doing their bit when it comes to protecting endangered wildlife. Luxury experiential travel company andBeyond has partnered up with Great Plains Conservation to spearhead Rhinos Without Borders. The project has already seen the safe translocation of two batches of rhino from high-risk poaching areas in South Africa to Botswana. In 2015, more than 1215 rhinos were killed in South Africa alone, at a rate of one every seven hours – higher than the rate at which they breed. 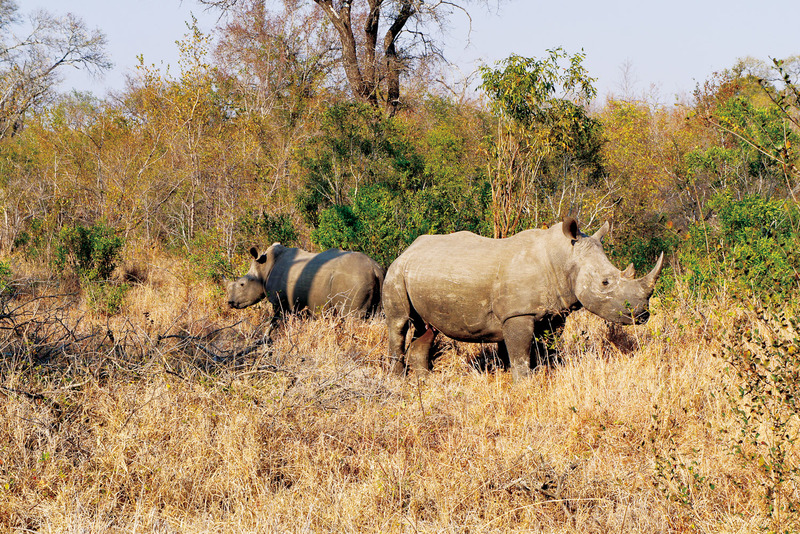 The project is a quarter of the way towards reaching its goal of moving 100 rhinos. Yala National Park in Sri Lanka is home to the largest population of endangered Sri Lankan leopard, but unfortunately it is threatened by the cattle farmers of bordering communities whose livestock is deemed easy prey for the leopards. Luxury travel operator Abercrombie & Kent’s philanthropic arm, A&K Philanthropic (AKP), has come up with a solution: house cattle in steel enclosures overnight to protect the livestock from the leopards and thus protect the leopards from the farmers. In 2015, the first steel enclosures were installed and AKP has made a commitment to donate another 20 enclosures this year. Cruise giant Royal Caribbean and World Wildlife Fund have announced a five-year global partnership that will aim to reduce Royal Caribbean’s environmental footprint, raise awareness about ocean conservation and support WWF’s global ocean conservation work. WWF US president and CEO Carter Roberts says that “in the last 30 years, some ocean wildlife populations have declined by nearly 50 per cent… we must take serious steps to repair, restore and protect it”. The partners have set measurable targets for 2020, including reducing greenhouse gas emissions by 35 per cent, responsibly sourcing 90 per cent of its wild-caught seafood from MSC-certified sustainable fisheries, and financially supporting WWF’s ocean conservation work with a $5 million contribution.